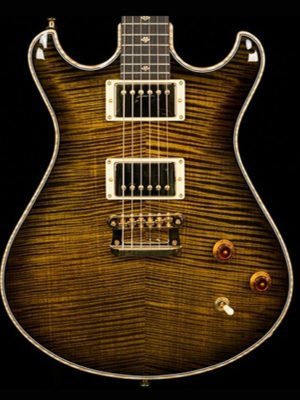 Home > Guitar News & Guitars > Knaggs Guitars – The sublime combination of art and function! 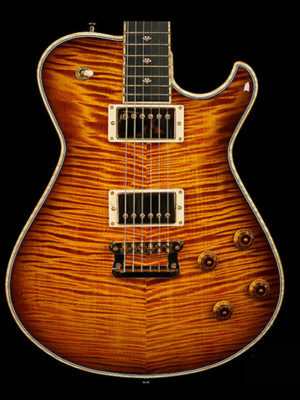 Oh my word take a look at this beautiful instrument from Knaggs Guitars! Despite what is said in the media I think we are living in a golden age for guitars. It is true that the big guys like Fender and Gibson are struggling. This is partly through their own hubris but mainly because the little guys, like Knaggs Guitars, are making such great guitars. By pushing the boundaries of what is possible the craft guitar maker is giving us something a little bit extra. With that on offer why would you buy anything else? 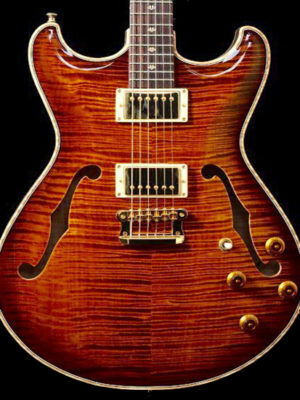 You may pay a little more, although I would say not that much more, to get the hand crafted artisanal guitar that is produced by the likes of Knaggs Guitars but, by God, it is worth the money! 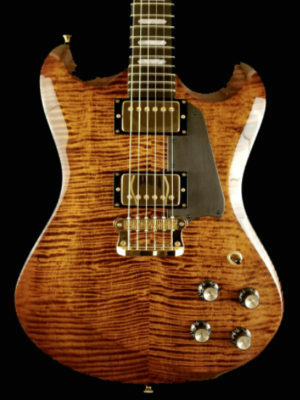 Knaggs Guitars was founded in 2009 by guitar luthier Joe Knaggs and Marketer Peter Wolf with the sole aim of producing hand crafted guitars. When Knaggs left PRS Guitars he wanted to create his own vision of what a guitar should be and so set about re-interpreting classic guitar design. 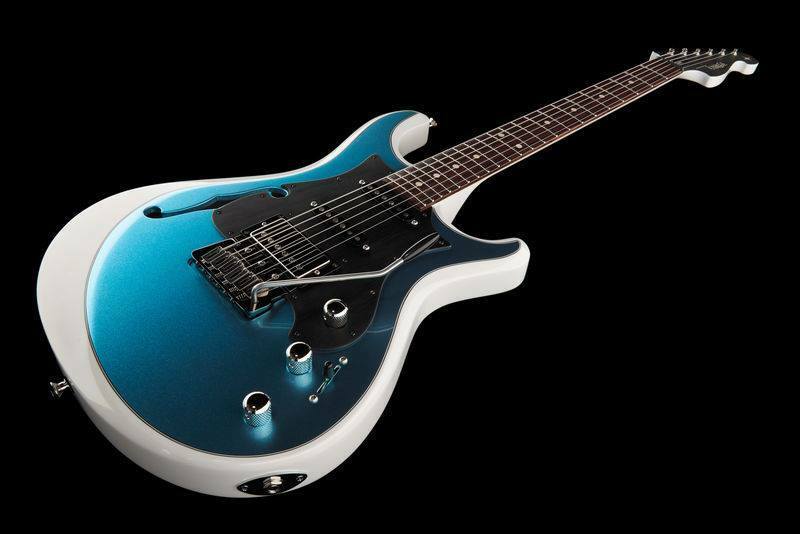 In doing so Knaggs Guitars have created a range of amazing instruments designed for the guitar purist. The standard range of guitars, although there is nothing standard about them, are all named after Native Indian rivers in North America. ‘The Influence Series has 5 guitars in the range, the Chena, Kenai, Keya, Sheyenne and Honga. These are all perhaps the more Gibson inspired guitars in the Knaggs stable armed as they are with two humbuckers and fixed bridge configuration. The Chesapeake Series is more Fender inspired with single coil pickups and tremolo units in the mix. Whichever of the guitars takes your fancy you can be assured that the quality is going to be second to none. 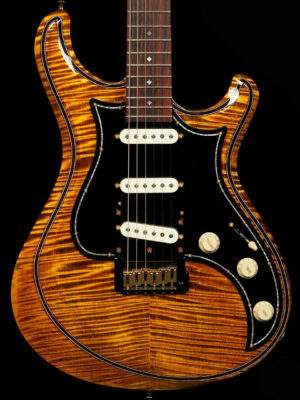 It cannot be understated that every Knaggs Guitar oozes quality from every pore. 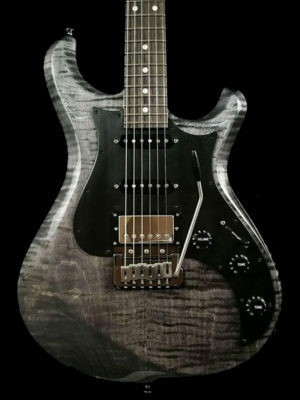 You can take a look at the range of Knaggs Guitars in the slider below. Our favourite is the Severn X with its humbucker, two single coil pickups and a Chesapeake Trem unit this is a tasty guitar with lots of options available to customize it to your own spec. But we have to add that really we would be happy to play any of the guitars on offer! “My Knaggs are some of the most amazing guitars that I’ve ever played. A true joy to play, great tone, visually stunning and perfectly at home in my hands. I call them inspiring, playable works of art, with a modern vintage vibe to them”. For me that says it all! 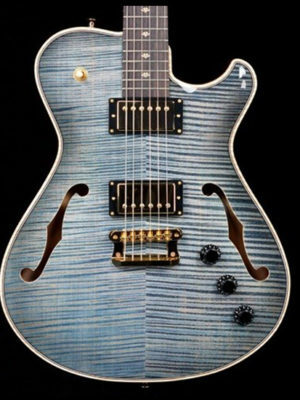 Knaggs Guitars are a true work of art. But to create a playable work of art takes something special and that is what Knaggs Guitars have achieved. 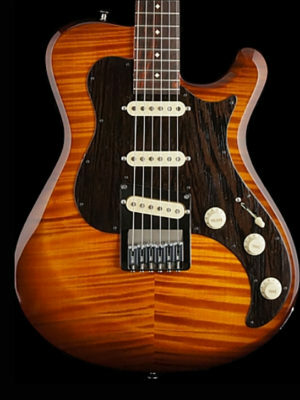 If you are interested you can find out more about the Knaggs Guitar range on their website.